Sounds From The Slammer, a new podcast from journalists Adam Schrader and Angus Mordant, lets listeners hear music performed and written by inmates in prisons across the country. Each episode, approximately 45 minutes long, features recorded interviews with these jailed artists and their music. This wouldn't be possible without the full support and encouragement from prison staff, who have (mostly) expressed high interest and gratitude at the opportunity to participate in our project. Correctional officers have vocalized that these bands teach inmates responsibility and provide them with focus and an outlet for creative expression. We hope listeners also find value in this music/news hybrid podcast and seek to learn more about these artists and their works. Stay tuned for other projects borne by Sounds From The Slammer. 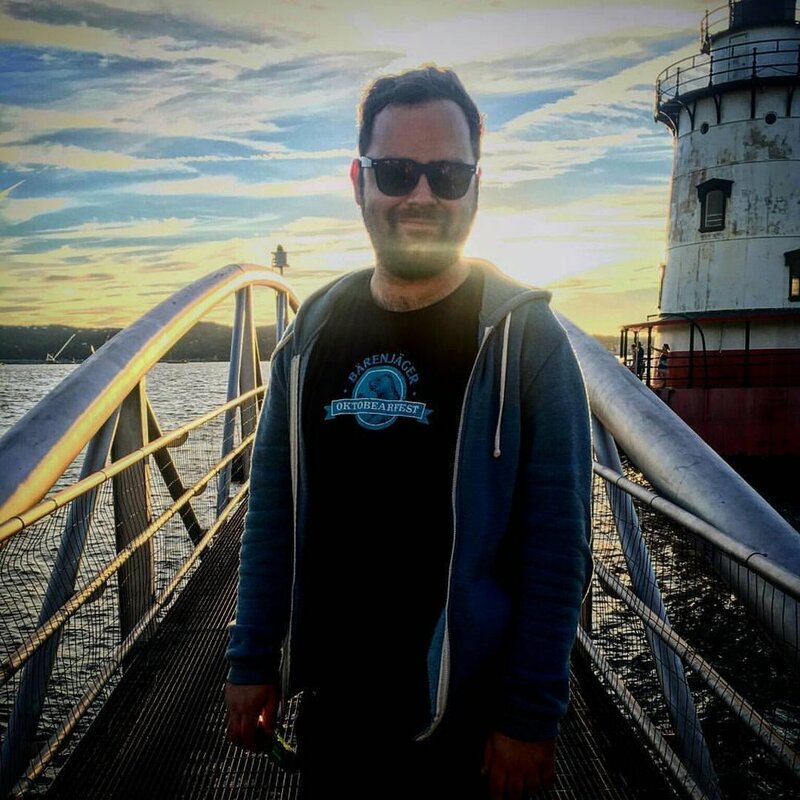 Our Executive Producers and hosts are Adam Schrader and Angus Mordant, who have often worked together since stringing for the New York Daily News. Adam has a bachelor's degree in music business and a master's degree in journalism. He's an award-winning reporter and has worked for the New York Daily News, Facebook, The Dallas Morning News and Lewisville Texan Journal. He was arrested while reporting from Standing Rock and has often covered breaking news like the Dallas Ambush, train derailments and shootings. He fancies himself a multimedia journalist and likes shooting photos on film. Angus Mordant is a photojournalist based in New York City. He was born and raised in Sydney, Australia, but moved to New York in 2013 to study at the International Center of Photography. After graduating in 2014, he spent a year interning for Mary-Ellen Mark. His work has been published in The New York Times, The Wall Street Journal, New York Daily News, The Australian Financial Review, The Australian, and in both group and solo exhibitions in Sydney, Melbourne, and New York. We'd like to start off our listener guide with this welcome letter, which will provide some context for this podcast. We hope you enjoy the show. 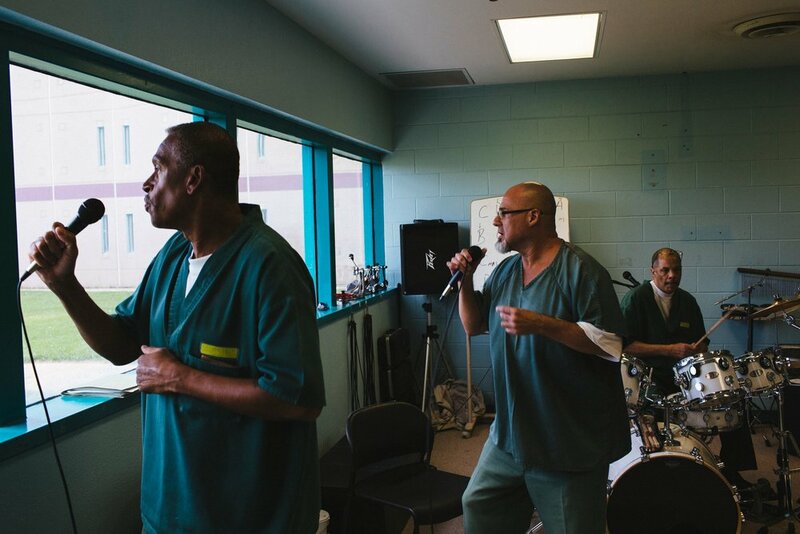 In this episode, Adam Schrader interviews three inmates at Colorado's Limon Correctional Facility who formed an R&B band called Next Level. Their names are Odus Bell, Joaquin Mares and Jody Aguirre. This episode boasts the world premiere of four of Next Level's original compositions. It is produced by journalists Adam Schrader and Angus Mordant and features Adam as the host. Click here for a transcription of this episode. Below is a map locating the facility. In the second episode of Sounds From The Slammer, Angus Mordant interviews inmates at the Montana Women's Prison who participate in the facility's music program,Tutti Behind Walls. The program, a partnership with the Billings Symphony and Chorale, teaches inmates how to play the guitar. You'll here inmates perform several tunes, including: Greensleeves, Simple Gifts and House of the Rising Sun. Some of the women featured in this episode have had news articles written about their crimes. You can read about Lindsay Haugen and Susie Schaaf.